The　article was introduced intelligibly concretely. AIR is the interesting activity which can be interchanged with the artist from every corner of the earth. Are simultaneous with acceptance of stayed and landed artists. A town and people become attractive. 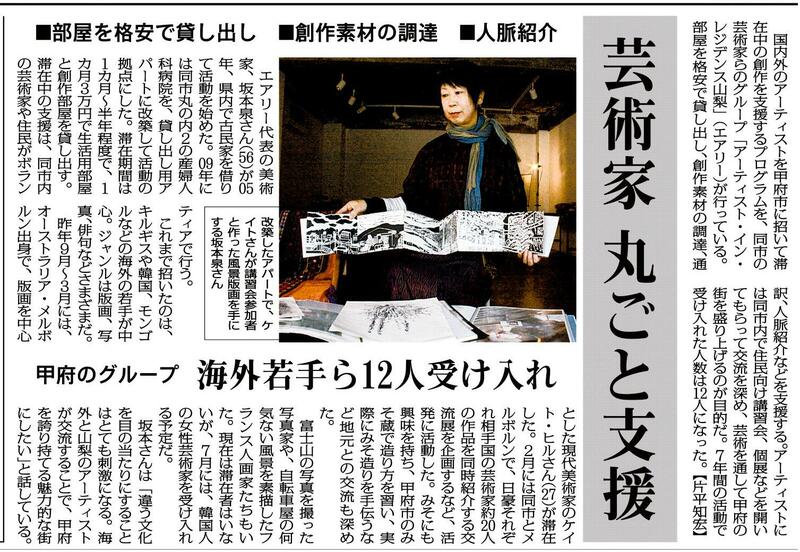 If the world is seen and contemporary art is considered local Kofu will be considered. Isn’t it concerned in a place good at you? Send me e-mail from contact. 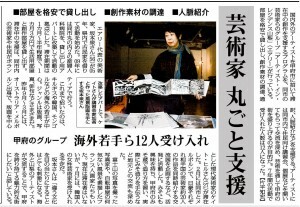 In acceptance, of course, a Japanese artist is also a big welcome. A mountain, nature, people .. Let’s tell the merit of Yamanashi to the world! And are simultaneous with support, let’s send from here Yamanashi!